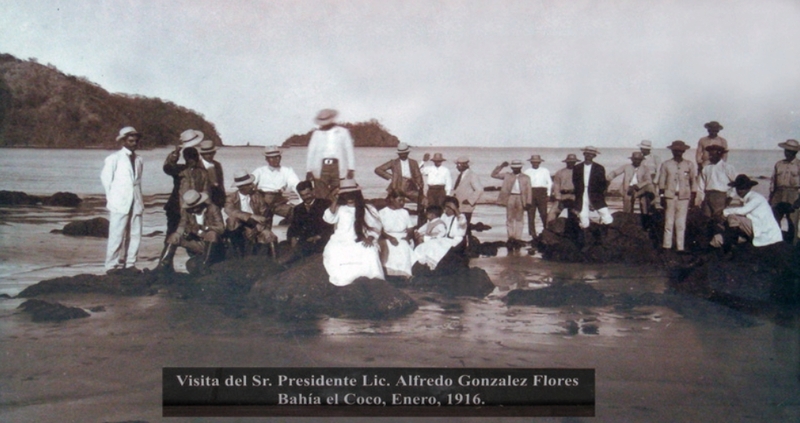 Deeply ingrained into its history, fishing and Playas del Coco have always gone together. The first residents of the area were subsistence fishermen in Pre Columbian times most likely a sea faring people of Chibcha origin around 500 AD. The fishing tradition has never been lost and is now stronger than ever. 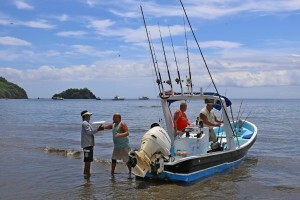 While still maintaining a small commercial fleet, the real action in Playas del Coco is with the Sport Fisherman. Born and raised locals who were once fishing to put food on their families tables have graduated to become the boat owners and captains of the burgeoning Sport Fishing fleet. 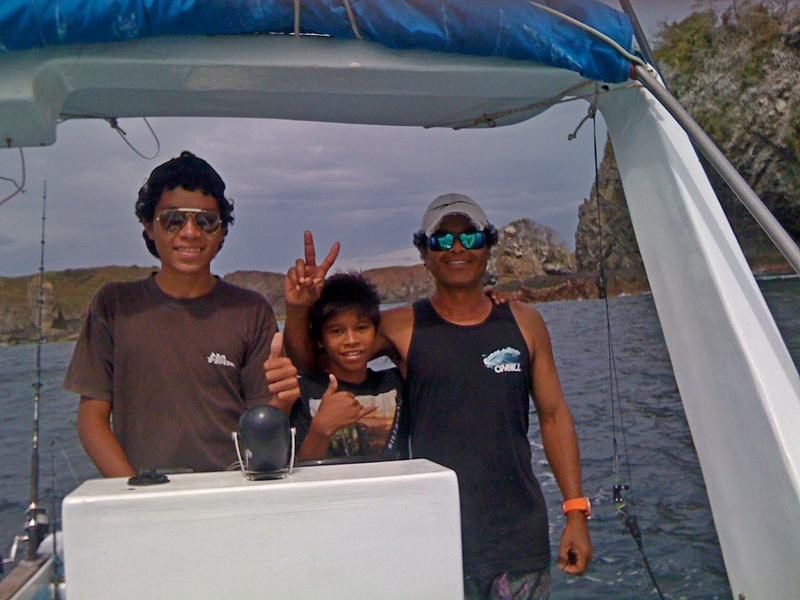 Inside the famed Gulf of Papagayo, Playas del Coco lies just off the most fertile marine area on the Northern Pacific Coast of Costa Rica, an important breeding ground and frequent stop off point for a majority of the Oceans species large and small. 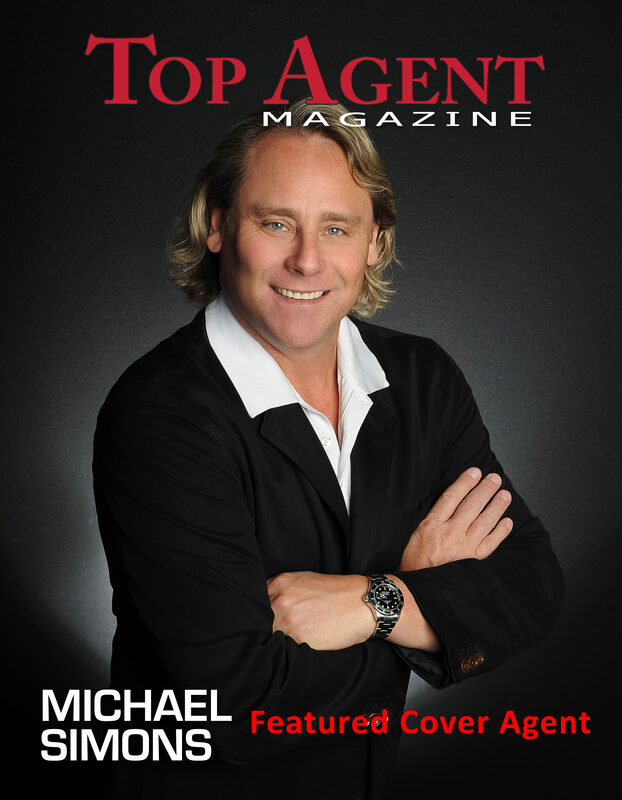 Our Guest Blogger is Robert Gunselman. 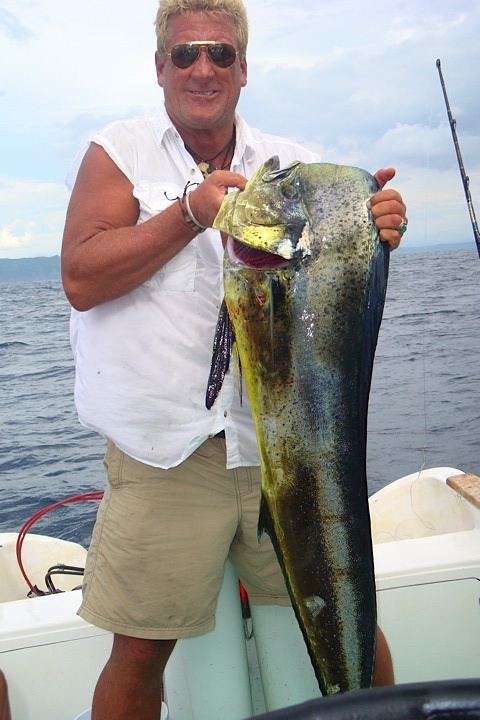 He is a relatively new arrival to Costa Rica but since the day he put his feet on the sands of Playas del Coco he has immersed himself into the local Sport Fishing scene. 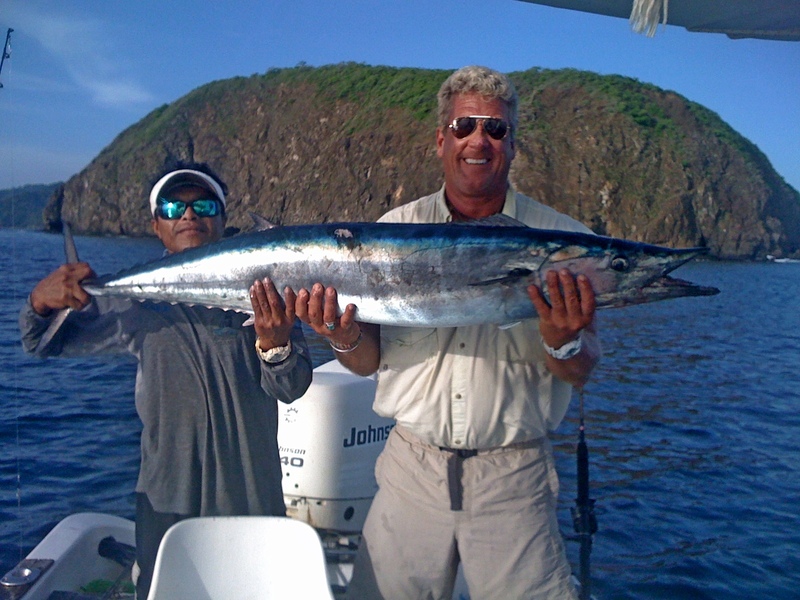 This guy knows his fishing and really knows his way around the fishing grounds of the Gulf of Papagayo and beyond. Rob just wants everyone to be educated about how to get the best out of your fishing charter, have fun and of course CATCH A LOT OF FISH! 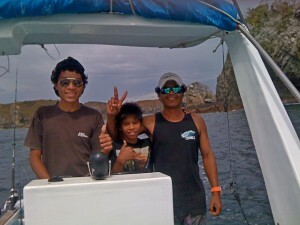 We spoke with Rob and one of his Favorite local Captains Gerardo “Come” (pronounced KO-MAY) Reyes. It is clear that these guys know their stuff and are passionate about creating a positive angling culture among the locals and tourists here. Captain “Come” made a point to say that they catch and release all Bill Fish and species that do not make for good eating and all of the fish they keep on the boat is either eaten by the fishermen who caught them or the families of the captain and crew. Nothing goes to waste. 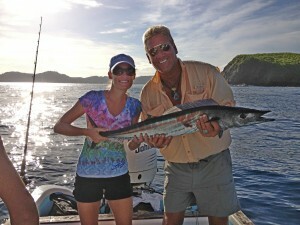 A lot of the good fishing is done on smaller open boats called Pangas using light tackle and live caught bait. You can also go whole hog and charter a beautiful air-conditioned Sport Fishing Yacht as well. The options abound. Take a look at the video interview with Rod and Captain “Come” where they share valuable insider tips on how to get the most out of your Sport Fishing trip. 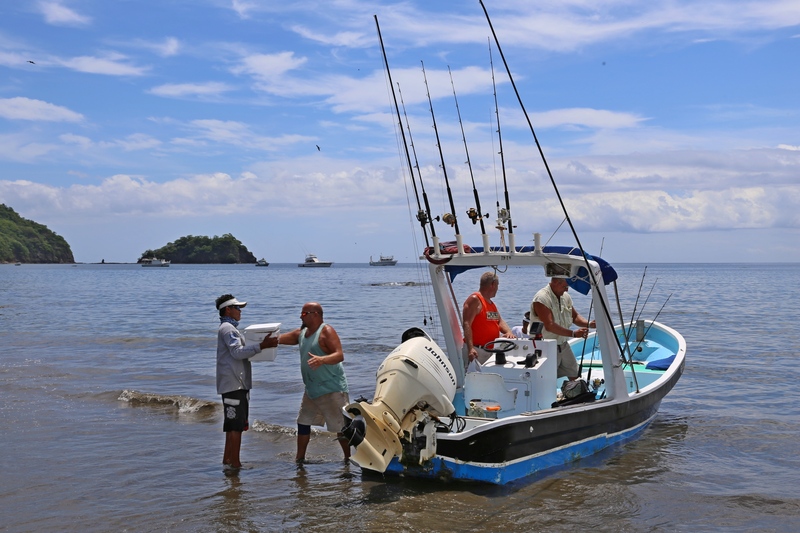 But don’t worry – most of the local captains speak enough “Fishing English” so you won’t have to worry about memorizing all the names.